Split flaps produce slightly more lift than plain flaps, but like their plain counterparts, they also produce a lot of drag. Split flaps are pretty uncommon these days, but you can find them on the wings of several warbirds at your local airshow.... Angle of Attack . Recall that the wings are angled slightly, which allows them to deflect the air downward and produce lift. I'm doing an experiment using two airfoils of the same dimensions except for the camber. I am getting results in which more lift is produced using the smaller wing. 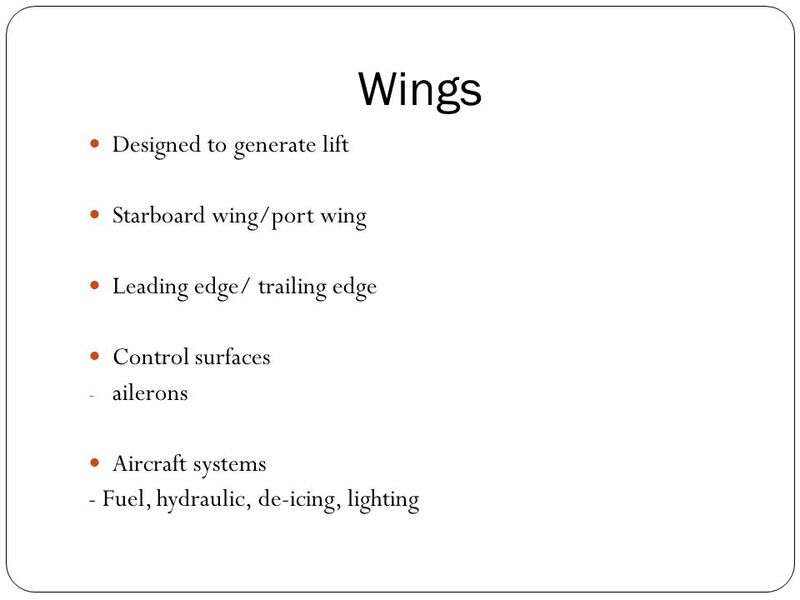 Is this correct or are my results... Wings with dihedral don't produce lift vertically. Instead, there's a vertical component, and a horizontal component. So when you're flying straight and level, your lift is not 100% vertical. Instead, there's a vertical component, and a horizontal component. Airliners are designed for maximal fuel efficiency in cruise, and having the fuselage generate lift is very inefficient, because is has a much lower lift to drag ratio than the wings. My guess is the designers try to have the fuselage generate close to zero lift during cruise. Larger wings produce greater lift than smaller wings. So smaller-winged birds (and planes) need to fly faster to maintain the same lift as those with larger wings. So smaller-winged birds (and planes) need to fly faster to maintain the same lift as those with larger wings.